The brakes of a vehicle are an important component that enables the vehicle to stop at the desired time. Any problems with the brakes must be attended to immediately to avoid any accidents. That's why you must find a reliable auto brake repair shop to get the desired service for your brakes immediately. Lakewood Auto Body is a reputed auto brake repair shop in the Olympia, WA area that offers residents offering high quality services. Rely on our skilled and trained technicians for the resolution of all issues pertaining to brakes. 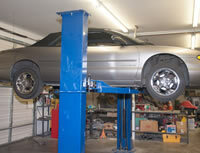 We are equipped with the latest and advanced equipment and are able to diagnose your problem quickly. We always provide long-lasting solutions. When you are searching for reliable auto brake repair shops near me, think of us. Brakes may be the most important component of a vehicle, which is why you need expert hands for the resolution of any brake problems. Choosing just any auto repair company is not the best thing to do. You should, instead, look for an experienced and expert brake repair shop in Olympia to get any services related to brakes. We are a reputed auto brake repair shop that has been serving Olympia residents for a long time now. Choose us for any services related to the brakes of your vehicle. When you do, you can rest assured that you are being served by one of the leading companies in the industry. We will use our latest techniques and equipment to diagnose the problem and find relevant solutions for it. Keeping the brakes of your vehicle in top shape is not only in your best interest, but in the best interest of your family and other commuters as well. You should not just find the cheapest place to get brakes done, but one that is experienced as well. Talk to our consultants to get the auto brake repair cost estimate before getting any work done. 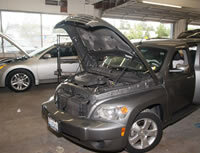 Feel free to reach Lakewood Auto Body at (253) 581-0220 for any brake repair services in Olympia. We are a family-owned auto brake repair shop operating since 1962.